Nigeria's former finance minister wrote a book about her time in government. It is a thinly veiled attempt to clean up her image. 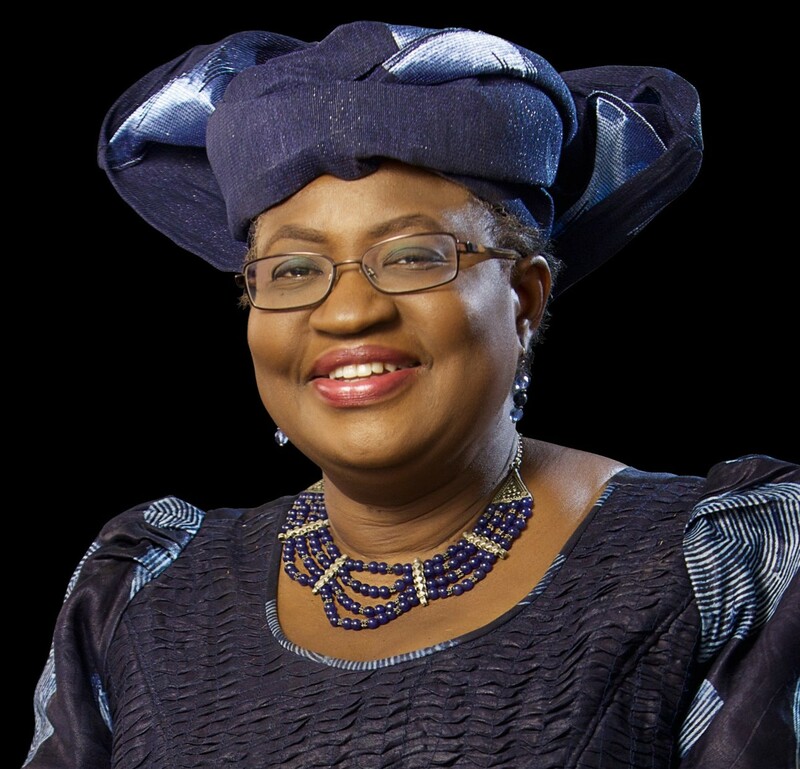 Ngozi Okonjo-Iweala served as Nigeria’s finance minister twice since the country’s return to democracy: first from 2003 to 2006 under Olusegun Obasanjo and more recently, from 2011 to 2015, under Goodluck Jonathan. Now she has written a book, published by an American academic press, ostensibly about those experiences. Dr. Okonjo-Iweala comes from a family of academics. Her mother, Kamene, was a renowned sociologist and her father, Chukwuka, an economist (he is also a local king in the Delta region, and a former UN official and government official in Ghana.) She had her elementary education at the legendary St. Anne’s School Molete, which is one-hundred and forty-nine years old. Then completed her secondary education at the prestigious University of Ibadan International School. She then proceeded to Harvard where she obtained her Bachelor’s degree in Economics. She later obtained a PhD in Rural Economics and Development from MIT. Prior to becoming Nigeria’s Finance Minister in 2003, she worked at the World Bank where she rose to become the Vice President for Africa and later one of the several Managing Directors at the Bank. 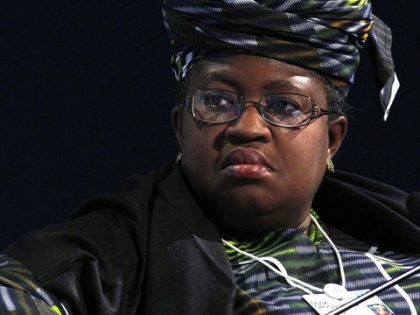 Upon Nigeria’s return to democracy in May 1999, she became an important figure in the shaping of neoliberal economic policies for the new administration, first as an adviser to Obasanjo and later as Finance Minister, where her office literally became an outpost of the IMF/World Bank. She helped populate both Obasanjo and Jonathan’s administrations with current or former employees of the World Bank/IMF and other sympathizers of neoliberal economic policies. Many of these people later constituted her kitchen cabinet. The neoliberal policies of the two administrations she worked for were largely responsible for the selling of national assets to individuals and cronies of the regimes in the name of privatization and commercialization. It wasn’t surprising when opposition to these policies became an important trope for the book that chronicled Okonjo-Iweala’s tenure as Finance Minister in Nigeria. There aren’t many books by African finance ministers on their tenure, so her book would certainly elicit anticipation in some circles. The book is dramatically titled Fighting Corruption is Dangerous: The Story Behind the Headlines and opens with a story of the kidnapping of Kamene Okonjo, which Okonjo-Iweala blames on intimidation by those that were benefitting financially from what she calls the “oil subsidy scam.” Her evidence: The alleged kidnappers did not ask for money. In her telling, they wanted her to announce on national radio and television that she was resigning from her job as Finance Minister and returning to the United States. The kidnapping of Okonjo-Iweala’s mother is depicted as a game, which makes jest of the general insecurity ordinary Nigerians confront on a daily basis. The community where Okonjo-Iweala’s parents live and many communities in Nigeria are known to have recorded many incidents of kidnapping before and after the episode she described. 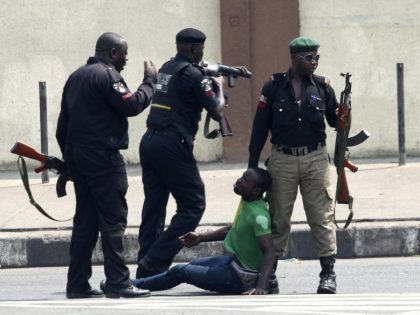 This includes the kidnapping of the king of a nearby Ubulu-Uku community, a senior government official of the state, Professor Hope Eghagha, and the wife of retired Army General Oluwole Rotimi. Kidnapping became rampant during the oil insurgency in the Delta and continued into the present so it cannot be conclusively said that there is a correlation between these acts of brigandage and the fight against corruption. The only correlation is the general breakdown in law and order as a result of the incompetency of the administration and the overall socio-economic downturn resulting from the neoliberal economic policies of the Obasanjo and Jonathan administrations that Okonjo-Iweala helped shape. The story about her mother’s kidnapping, instead of an up-close view, is merely a device for four interrelated arguments to support the book’s claim that fighting corruption is dangerous. The first of these is the book’s suggestion that, Okonjo-Iweala’s anti-corruption campaign resulted in the kidnapping of her mother; secondly, she claims that her ethnicity warranted an opposition to her because some ethnic groups presume that the office of the Finance minister is their birthright, thirdly, Okonjo-Iweala’s feminist ideology warranted anti-feminist opposition to her fight against corruption and finally that some ideologues from the left were opposed to her anti-corruption crusade. These are the reasons Okonjo-Iweala concludes that fighting corruption in Nigeria is dangerous. So far so good. However, what becomes clear, is that Okonjo-Iweala sees every disagreement with her economic policies as an attack on her person because of her gender, ethnic identity or her previous role as a World Bank employee. Nigeria has a subsidy regime that started with the administration of General Yakubu Gowon in the early 1970s. The subsidy regime has been a recurring decimal in the annals of oil politics in Nigeria during the oil boom of that era and cannot be said to be a new thing as described in the book. It is what every regime has had to grapple with over the years. However, in the discussion of what she considers subsidy scam, she discounts the larger issue that surrounds the subsidy regime. For example, Nigeria imports refined oil for its local consumption. That makes the local price of premium motor spirit susceptible to the fluctuating oil market. The Obasanjo administration licensed private individuals to build refineries and over 16 years later, none has been built and nowhere was this stated in the book. Secondly, she argues that the whole subsidy regime is a scam but never admits to the culpability of the Jonathan administration and of course herself (the Coordinating Minister of the Economy) to such a scam. Blame it on others seems to be the fulcrum of the entire argument of the book. Okonjo-Iweala borrowed straight from the neoliberal mantra that government should get out of the way when she writes, at the start of the book, that “The overwhelming majority of Nigerians are honest, hardworking citizens who want what citizens elsewhere want—for their government to provide peace, stability, and basic services and then get out of their way so they can live their lives.” While the majority of Nigerians want stability and peace, they also want a government that serves their interest by providing social services such as education, health and an economy that works for everyone, not the one that works for a few as it is now. Describing Nigeria as a troubled country without giving proper context to why it is troubled fits into the prevailing narrative of Africa as a troubled continent that needs rescue. Nowhere is this narrative more prevalent than in the second chapter where she described how she was “begged” to leave her work in the West (as a World Bank employee) for the wilderness of Nigeria. This fits into the larger narrative of the “savage-savior” metaphor aptly elucidated by Makau Mutua in his book, Human Rights: A Political and Cultural Critique. It also fits the narrative of the white savior industrial complex aptly described by Teju Cole as a situation where Africa—in this case Nigeria—is considered so helpless that you would need some saviors from the West to come rescue it from what I call the permanency of economic retardation. This chapter also shows how she constituted a “rescue team” made up mainly of present and former employees of International Financial Institutions. The chapter never hid her preference for those with Western experience and this speaks to her claim of being Nigeria’s savior. In addition, she reconstructed the story of her being paid in United States dollars in ways that suggest she voluntarily dropped the idea of being compensated in dollars without disclosing that it was a court judgment that stopped the payment and asked her to refund all salaries paid to her in that amount to the government. She had insisted on being paid in US dollars upon her assumption of office as finance minister in 2003 with an annual salary of US$240,000 which is a violation of the Code of Conduct for Public Officers which frowns against maintenance of a foreign account. It is also a violation of the Certain Political, Public and Judicial Office Holders (Salaries and Allowances, etc) Act No 6 of 2002 which prescribes a yearly salary of N794,085.00 ($2185) for every minister of the Federal Republic of Nigeria. However, she failed to mention how Obasanjo’s dissatisfaction with her performance as Finance minister led to her being transferred to the Foreign Ministry where she later resigned. Rather, she constructed a story of resignation that never accounted for being transferred to another ministry that she thought was beneath her. She also did not disclose how she lobbied the Jonathan administration to return as Finance Minister rather, she claimed that private sector leaders came to beg her for the job. It is in this chapter that she actually began to show how every constructive opposition to her economic policies were seen as a personal attack on her. She singled out individuals such as Omoyele Sowore, publisher of Sahara Reporters and Femi Falana, a highly-respected lawyer in Nigeria as those who led the attack on her. However, she never affirmed how many of those so-called attackers merely pointed out the flaws in her economic policies, which were detrimental to most Nigerians. While Okonjo-Iweala argued that Mr. Falana singled her out for criticism. It is incontrovertible that the same Mr. Falana actually fought alongside Omoyele Sowore and others for the restoration of democracy in Nigeria. In the many years of military rule in Nigeria (1985-199), Falana was incarcerated without trial several times for speaking out against economic inequality and other forms of injustice occasioned by neoliberal economic and political practices in Nigeria. The same can be said for Omoyele Sowore who, as a student activist in college, fought for the restoration of democracy. Basically, the duo of Sowore and Falana had merely continued their critique of economic policies that are detrimental to the wellbeing of Nigerians, which Okonjo-Iweala claims are personal attack. Even more interesting is the fact that the book chronicled Okonjo-Iweala’s to and fro with Nigeria’s National Assembly in ways that see the assembly as the opposition contrary to the spirit of the constitution that sees the assembly as an independent organ. Every invitation to the assembly to give account of the stewardship of her ministry is considered an attack on her person such that the reader might be convinced that she would rather serve under a dictatorial government than a democracy. The National Assembly of Nigeria is expected to provide an oversight on the executive arm, surprisingly; the book seems not to recognize this constitutional role. Instead, the book paints a picture of the national assembly as one of those who always “attack” her. Painting the national assembly in this way suggests either a lack of understanding of constitutional governance by Okonjo-Iweala or a mere display of disdain for every criticism regardless where such criticism comes from. Okonjo-Iweala writes the same way about the governors of Nigeria’s 36 states as if the governors are expected to be appendages to the federal government, especially the office of the minister. For example, when the then governor of Edo state, Adams Oshiomhole, complained about what he called the illegal withdrawal of $2billion from the Excess Crude Account—an account operated by the Federating States and the Central Government. Okonjo-Iweala opined that Oshiomhole attacked her because she blocked him from obtaining a foreign loan. To her, any state governor that criticizes her is automatically seen as “attacking her person” regardless of the policy disagreements that may have warranted such criticism. While I admit that the current Nigerian system is not perfect and there are flaws in the National Assembly as well as the 36 states, I also believe that respect for the constitution is what creates a strong governance system in any society. Furthermore, another argument made by her is the claim that, “there were ethnic jingoists who disliked the idea of someone from my Igbo ethnic group holding what they perceived as a powerful position that they believed belonged to their own ethnic group” (107). This assertion feeds into the prevalent narrative in Nigeria that a section of the country, specifically the Hausa-Fulanis tend to dominate what is considered to be “juicy” ministries and parastatals especially the Finance Ministry. This is not exactly true because, since independence in 1960, more southerners have held the position of Finance Minister more than those from the North. For example, between October 1st 1960 and September 14, 2018 when Kemi Adeosun resigned as Finance Minister, Nigeria have had 23 Finance ministers and only seven have come from the North, the rest have been from the South including the first Finance Minister (1960-1966), Festus Okotie-Eboh who is from the same Delta state as Mrs Okonjo-Iweala. There are some historical inaccuracies such as describing Goodluck Jonathan as the first person from a minority group to become president leaving out General Yakubu Gowon, the longest serving Nigerian leader (1966-1973). Okonjo-Iweala says she was the first person to serve as a coordinating minister of the economy leaving out Chief Obafemi Awolowo who served as Vice-Chairman of the ruling council and Finance Minister during the reign of Gowon and of course Ernest Shonekan who was appointed by the Babangida Administration as Head of the Transition Council overseeing the economy before Babangida was forced out of power by popular protest in August of 1993 paving the way for Shonekan and later Abacha to become Head of State. Finally, it is hard to find any evidence of the fight against corruption by Okonjo-Iweala in the entire book. She presided over the economy under two administrations adjudged to be some of the most corrupt in the history of the country. For example, electricity is a major challenge in the country and the $16 billion that Obasanjo administration under which Okonjo-Iweala served spent on the power sector was mismanaged and power is still at the level it was before the administration came to power in 1999. Over $32 billion was said to have been lost to corruption during the Jonathan administration because state coffers were turned into personal coffers by the president and his cronies and it is hard to fathom that a Finance minister who coordinates the economy can feign ignorance of the monumental fraud that took place under her watch. 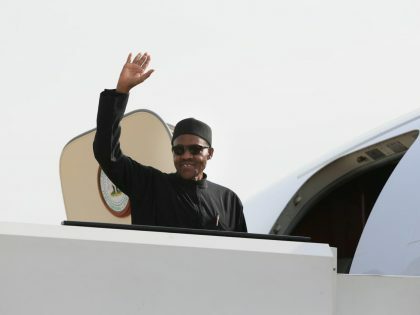 At best, the book highlights how narratives can be reconstructed in ways that turns principled opposition into personal attacks in an attempt to provide cover for someone who might be seen as culpable in the mismanagement of Nigeria’s wealth for about 16 years. If anything is dangerous, it is not admitting to one’s culpability in the scheme of monumental fraud in the history of Nigeria. 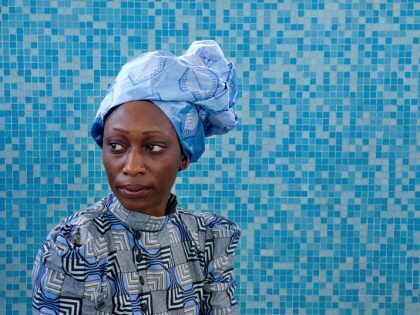 What has been the personal legacy and costs to the Abiola women in Nigeria’s struggle for democracy. Yesterday the African Union added their backing to Nigerian finance minister Ngozi Okonjo-Iweala's run at becoming World Bank President. She announced her candidacy on Friday, just hours before Obama told everyone he'd picked South Korean-born rapper Jim Kim (now backed by Paul Kagame). But how do Nigerians look at this? Some are puzzled by the government's silence, and local media reports that Ali Mazrui wrote to President Jonathan urging him to offer louder and stronger support to Okonjo-Iweala's campaign.